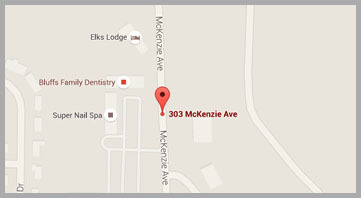 Stonehenge International Block Party Starts Today @ Cut Up & Quilt! 2019 marks the 10th anniversary of the Stonehenge fabric brand by Northcott, and they are celebrating with the quilters that have made their fabrics such a success! They have designed the Solstice Anniversary Collection just for the occasion. Cut Up & Quilt is a participating shop in the International Block Party and we're hosting the Solstice Panel Quilt Challenge. We love to see what you can create and there are great prizes in store for the winners. The Stonehenge International Block Party is ready to kick-off on March 15th. 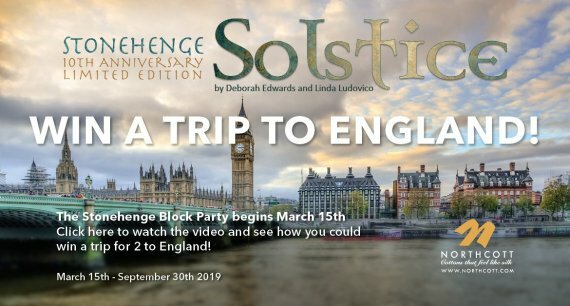 The grand prize is a 9-day trip for two to England with a private tour of Stonehenge in June 0f 2020. 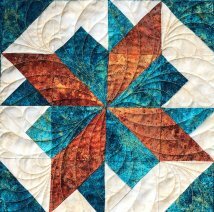 All you need to do is create a quilt using a minimum of 12 unique blocks from participating shops using the Solstice Anniversary Collection. The event will run from March 15th to September 30th, 2019. All the details, rules and guidelines can be found on the Northcott website. Our Cut Up & Quilt shop block was created by our local designer, Karen Burns, aka, The Warped Spinster. It looks stunning and you'll want to include it in your challenge creation. The kits for the block are available on our website or in the shop. Due to high demand of the fabric, we have a limited supply in stock. Please feel free to place your order now, realizing shipping may be delayed. We anticipate shipping all unfulfilled orders no later than mid April. To add to the fun and provide more opportunities to win prizes, as a participating Block Party shop we will be hosting a Solstice Panel Quilt Challenge! Quilters are challenged to use the Solstice panel in a creative way to make a quilt no larger than 60”x 60”. This is an in-store challenge. You must physically submit your panel quilt to Cut Up & Quilt by November 30th 2019. 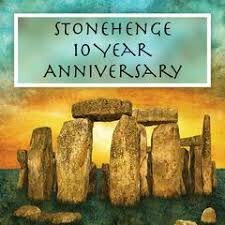 We will judge entries and pick a winner, who will receive a Stonehenge Precut prize! We hope to see you soon @ Cut Up & Quilt!